Have you started trimming the tree and decorating your home for the next big holiday? 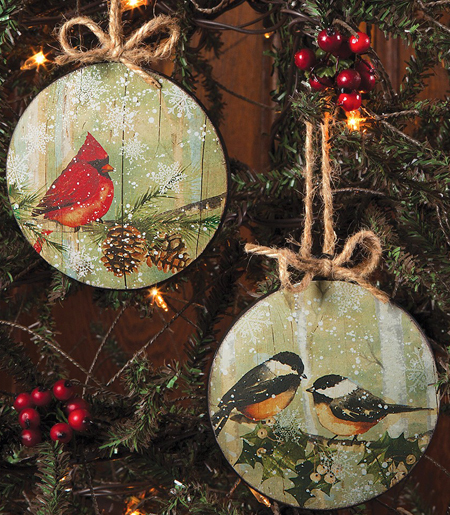 Whether you have or haven’t, these five sets of ornaments are budget-friendly and offer complementary style to your home. 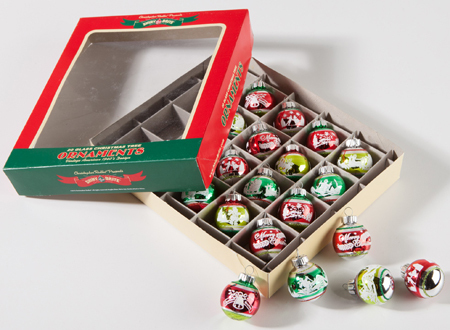 Our Holiday catalog is full of Shiny-Brite™ ornaments and accessories, but this set is extra special because it includes twenty vintage inspired ornaments that will twinkle and charm from evergreen branches. 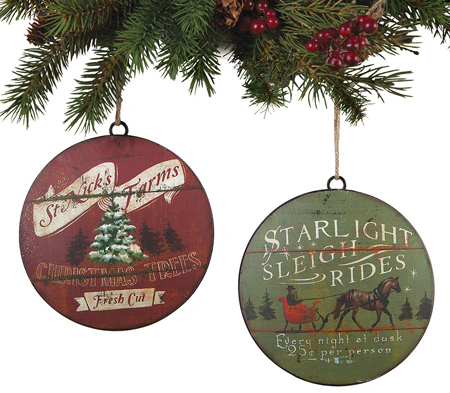 These metal ornaments make a big statement full of country charm. Both sides feature their respective design so no matter how you hang them (jute rope included), they can be admired with ease. 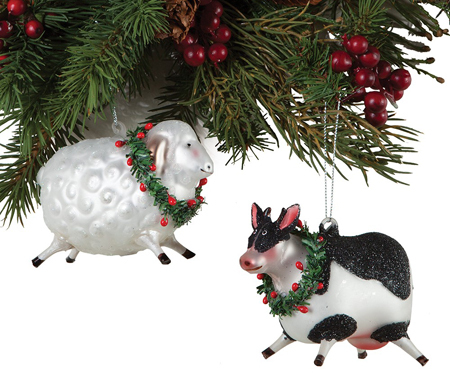 These cheerful farm animals will shimmer and delight on a tree or even in a window. 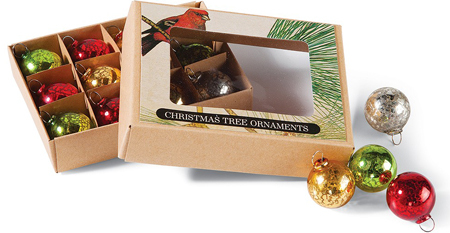 These colorful ornaments are simple yet festive, and the box they come in makes an equally decorative home accent. remember, these ornaments also make cheerful gifts for the holiday season!